From Minneapolis to Toronto, urban dwellers are on the hunt for local, sustainable food. While backyard and community gardens offer real opportunity, some take it a step further and attempt to keep a flock of laying hens. But is urban chicken keeping truly sustainable? And, more importantly, sustainable for who? This is the question that Mary Britton Clouse, owner and operator of Chicken Run Rescue in Minneapolis, Minnesota, wants people to ask themselves. 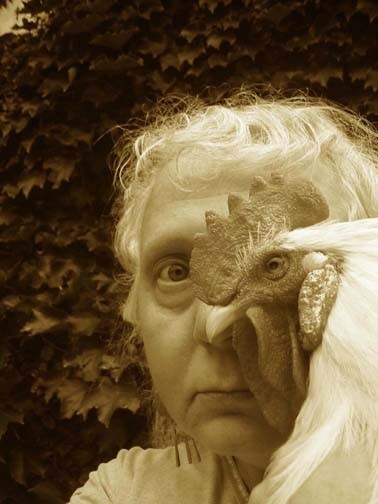 Ms. Britton runs a shelter, not a sanctuary, which takes in abandoned and neglected urban chickens in Minneapolis and the surrounding Metro Area. She and her husband then place the chickens with families in homes as companions. In 2008, Chicken Run Rescue saw an explosion of discarded hens when a local food trend caught hold in the city and permits for backyard chickens skyrocketed. Witnessing first-hand the devastation wrought on the birds when owners became bored, overwhelmed, or ended up with roosters, Ms. Britton began advocating for chickens to the city. Backyard flocks are not an alternative to the industrial system, but merely an extension. Chickens are companions, not producers of eggs. Through her tireless work, Chicken Run Rescue has earned enormous support from the community and Animal Voices is pleased to have her on the show to discuss how to advocate for city chickens and to examine the potential of microsanctuaries as the solution. Tags: backyard chickens, chicken, Chicken Run Rescue, Chickens, hens, Mary Britton Clouse, microsanctuaries, urban chicken keeping. Bookmark the permalink. It is always enlightening to hear Mary speak. Thanks for this wonderful interview!